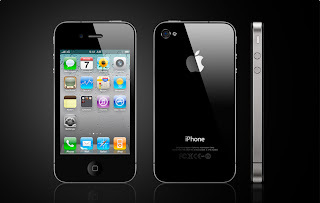 A report indicates that Apple has ordered its Asian manufacturers to produce a cheaper 8GB iPhone 4. Currently, the iPhone 4 is Apple's flagship smartphone and by releasing a cheap iPhone 4, Apple will break in to an entirely new market segment that it has previously kept itself out of. According to a Reuters report, the 8GB flash memory of this cheap iPhone 4 is being developed by a Korean company whereas the current 18GB and 32GB iPhone 4 memory is manufactured by Toshiba and Samsung. By reducing the memory, Apple can cut down the cost on the whole unit because as per one estimate, the on board memory accounts for 15% of the whole manufacturing cost of one iPhone 4 unit. Right now, the iPhone 4 16GB and 32GB cost $649 and $749 respectively. We know that this is quite high for most people. So by releasing a cheap iPhone 4 that will probably be priced around $250-$300, Apple will try to capture a market that is currently dominated by most mid-range Android smartphones.